Rachel Louise is an experienced soprano soloist who has performed in this country and abroad at a variety of venues, with many engagements being within the Glasgow and Leicestershire areas. A product of The Royal Scottish Academy of Music & Drama she has many hidden talents for she also plays piano, flute and has also danced her way through British Ballet Organization examinations. 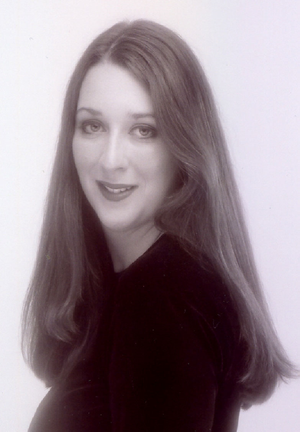 Her concert and oratorio repertoire includes a wide variety of styles and periods including Pergolesi’s Stabat Mater, Handel’s Judas Maccabaeus and Messiah, Mendelssohn’sElijah, along with Fauré’s Requiem alsoperforming in Verdi's Requiem, Handel's Israel in Egypt, Walton’s Belshazzar’s Feast and Stravinskys' Les Noces. She has been privileged to be selected to take part in Master-classes with such prominent international musicians as Benjamin Luxon, Roger Vignoles and Diane Forlano and was a Soloist and Chorus member with the Thursford Collection from 2000-2006. Rachel-Louise first appeared on the operatic stage as Susanna in Act I of Le Nozze di Figarowhilst studying at the RSAMD, but quickly progressed to portraying Kate Pinkerton in Madam Butterfly with Wexford Festival Opera, the Major’s Wife in Janácek’s Osud with Garsington Festival Opera and has understudied the roles of Clarice in Hadyn’s Il Mondo della Luna and Papagena in Die Zauberflöte with Garsington Festival Opera. She sang in La Boheme, Cosi Fan Tutte andProkofiev's La Duenna whilst studying at the RSAMD, La Traviata at the Edinburgh Festival and The Girl of Sand with Almeida Opera, Mayskaya Noch, Cherevichki, Osud, and Sarka, Die Zauberflöte, Le Nozze di Figaro and Genoveva for Garsington Festival Opera, Sapho and Alessandro Stradella with Wexford Festival Opera and in Turandot, Peter Grimes, Cavalleria rusticana and Pagliacci for Welsh National Opera. A naturally gifted singer and performer, Rachel-Louise is now also a very valuable performer with operahouse and made her debut for operahouse in the role of First Lady in Mozart’s Magic Flute in 2008. Hosted by Webs, produced by Flakware Web Design.